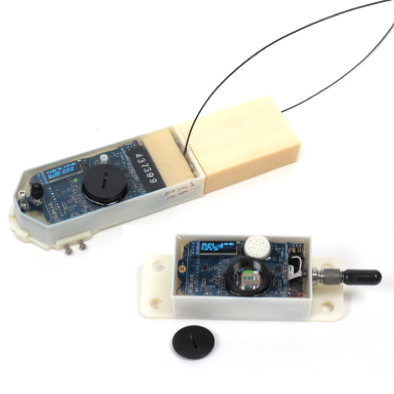 AMX is an audio and motion datalogger that can be used to record animal motion and sound production and exposure simultaneously. AMX uses a rechargeable lithium polymer battery so you can reuse it unlike other data storage tags. An optional burn wire release system and floatation allows the tag to be released at a specified time and a VHF beacon can be used to aid in recovery. AMX features a display so you can verify settings and sensor function prior to deployment. AMX comes in a variety of packages for deployment on different animals (e.g. whales, sea turtles, seals) or it can be mounted to gliders, underwater moorings, or tow lines. We regularly produce custom designs to accommodate different deployment configurations. AMX integrates a small aluminum housing with an o-ring to allow access to the memory card, recharge the battery, and the power switch.